The rPhone pod is a versatile teleconferencing application that provides a host in an Adobe Connect meeting room the ability to control the telephony options for all hosts, presenters, and participants. Select and download the rPhone custom pod from the website. Click here to learn how to download and install your custom pod. A .zip file will download to your computer. Double click the .zip file to release the contained .swf file. In a meeting room, open a new share pod and size it as small as possible. Select the pod menu and load the rPhone .swf file. When the rPhone pod is loaded in the meeting room, it will disappear from the layout and appear as a menu item in the Adobe Connect meeting menu bar. NOTE: It is important that the Presenter Only area is disabled when installing the rPhone pod in the meeting room. If the Presenter Only area is open when the pod is installed, the pod will only appear for hosts and presenters and cannot be used by participants. Once installed, the pod will auto-install itself on each layout in a meeting room. Layouts added to the meeting room after the rPhone pod is added, will also contain the pod. The very first time the the rPhone pod is added to a meeting room template, a free account must be created on the Refined Data Solutions system to activate the pod. Click the Create Your Free Account button in the pod drop down. The pod registration page will display. Fill in the form, agree to the end user license agreement, and click Register Now. When registration is complete, the pod will need to be reloaded within the meeting room. Once the pod has been reloaded it will ask for ZipDX account login credentials, which are the credentials needed to start a conference call. To acquire the credentials, a ZipDX profile will need to be created. The prompt to create a ZipDX profile will appear in your browser after completing the pod registration. ZipDX is an audio conference calling provider that integrates with the rPhone pod. Each audio host needs a ZipDX profile to start a conference call. NOTE: If you are a hosted Refined Training client, Refined Data Solutions will set up your administrative account(s) in ZipDX and create the Adobe Connect audio profiles for meeting hosts. 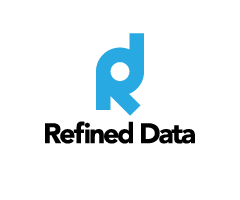 Contact support@refineddata.com for more information. A ZipDX email with the Host Pin and Participant Code credentials will be sent to you to log into the rPhone pod. To create the ZipDX profile, enter an email address and click the Create My ZipDX Profile button. ZipDX will send an email containing the ZipDX profile call in phone number, the host pin, and the participant code. This information is used to set up the Audio Provider within Adobe Connect, which allows the rPhone to be used in a meeting room. Once the ZipDX profile creation is complete, it needs to be associated with your Adobe Connect account to be used in the rPhone pod. To do this, return to rphone.refineddata.com and select Set Up Your Adobe Connect Audio Provider. 1). the Adobe Connect account domain / URL (which is located at Adobe Connect Central under the administration tab >>>> domain). Enter this information into the Audio Provider form and select the Create Audio Provider button. This creates the rPhone as an audio provider option within your Adobe Connect account. This process to add the main audio profile (rPhone embedded credentials) needs to be done only once during the rPhone pod setup. Navigate to Adobe Connect Central to administration >>>> audio providers, where the newly created rPhone audio provider information will display as rPhone (Embedded Credentials). To start using the rPhone pod within a meeting room, the “rPhone (Embedded Credentials)” audio profile will need to be added to the host account using the rPhone in Adobe Connect. To add the rPhone audio profile, navigate to My profile >>>> My Audio profile >>>> New profile and select rPhone (Embedded Credentials) from the provider drop down menu. Click save to create the audio profile. To allow other users to host a meeting room with their ZipDX conference code and ZipDX credentials, they will need to set up their audio profile with these provided directions. To add an audio profile to an Adobe Connect meeting, select the audio conference profile from the Audio Conference Settings drop down menu. This menu displays each audio profile created for each host.